Big news- we’re raising another billion. Another billion internet users worldwide, that is. In a recent report by GSMA, the total population of internet users is expected to increase from 3.3 billion in 2017 to 5.02 billion by 2025. 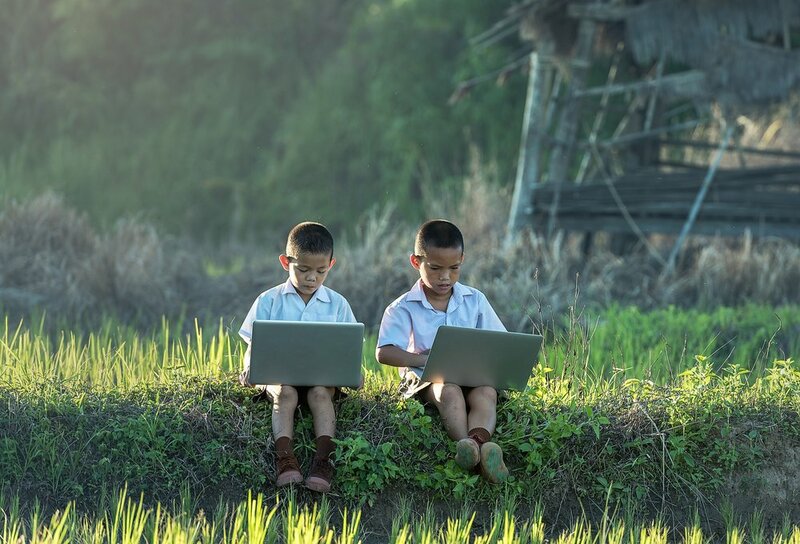 This new set of internet users is going to be a grab bag- many will come from emerging markets: places like the desert wastelands of Sub-Saharan Africa and the noisy and bustling bazaars of Bangladesh, while many others will be part of the next, post-millennial generation; the iGen, born in 1995 and later, by far the tech-savviest but also the most tech-romantic, often preferring long walks on the beach with their iPhone than with a friend. What can we expect from this up-and-coming, more-international and more-tech savvy cohort? Little concern with privacy issues. The next generation of internet users will come of age in an era where abdicating one’s right to privacy is the norm, not the exception. More information will be publically available about each person in a given family or community than anyone could want to know. One of the great social and cultural challenges of this emerging age will be learning to manage this influx of information in a wise, and dare I say, compassionate way- will we learn to become more forgiving of one another, or will we become more mob-like and judgmental? Recent cultural and political developments suggest the latter; that this barrage of information is giving us new reasons to pick fights rather than to love one another. A mighty challenge for entrepreneurs and sociocultural innovators could be helping to build the kind of internet (and business) that encourages the better side of human nature. Flourishing of online communities. Articles about the iGen in places like the Harvard Business Review emphasize their overwhelming preferences for social networks and addictive media experiences. A recent think-piece in the Atlantic showed that many iGen youth prefer social media interactions to in-person interactions, choosing to send their friends pictures of food rather than actually eat with them. Expect this consumer preference, combined with increasingly intuitive and addictive technologies, to expedite one long-hailed prediction; that some online communities will completely replace traditional ones. Podcasting, for example, has democratized high-quality intellectual content, on topics ranging from kittens to the conquests of Genghis Khan, in some cases straight from the university lecture hall and into the headphones and speakers of listeners nationwide. Companies that emphasize viral content and capitalize on network effects will see incredible returns marketing to the next generation. Greater multiculturalism. Bringing a whole new segment of the global population on board the web, from locales such as Asia, Latin America and Africa- a rise of 130% in internet usage in Sub-Saharan Africa, over the next five years, will bring many new opportunities to engage with and share new ideas, across virtually all industries. This new milieu will help bring into being new and unique ideas and innovations, and share things about the world that have hitherto gone unknown to most of the world. Fashion, music, entertainment- expect all of these to continue to change in unforeseen ways vis-à-vis the world-wide particle accelerator (or, atom smasher, if you prefer) of ideas. Innovations in language translation technologies will help to accelerate this exchange of ideas. Increased cyber-security risk. Increased complexity brings increased risk: with more people online, comes more threats of fraud and theft. Some new web-users from all over the world, some coding and hacking even from the cradle, will seek to exploit existing and future cracks in the cybersecurity infrastructure. International hacking collectives will become more potent and deadly as time passes and their members develop further expertise. Perhaps a worldwide cyber-arms race will ramp up, as better-skilled hackers seek to break all the glass they can and even-richer corporations spend as much as possible to reinforce their windows, no pun intended. As more systems go online, in areas such as medicine and government, more systems will become vulnerable. Secure, encrypted technologies such as blockchain will become increasingly necessary to facilitate secure information transfer. The rise of a post-literate society. Let’s face it- reading is falling out of vogue. Video, images, podcasts, games, and social media content are all coming to accompany the written word as not only meaningful, but entirely serious forms of content distribution. Voice search is coming to replace text search, with 50% of all searches expected to be voice by 2020. New internet users will increasingly come to favor multimedia content, with businesses based on the written word continuing to give way to multimedia experiences. This will likely change the way people think- perhaps with an emphasis on breadth, rather than depth. Businesses will have to adjust, offering content that engages with users across all of these forms of media, with the hopes that at least one will stick. It is clear that the next billion people online will bring a host of opportunities, changes, and problems to be solved. Those mentioned above are only the tip of the iceberg of - let’s not forget the impact of developing technologies like blockchain, nor the fact that 1/5 of all electricity usage will be on data processing and IT, nor numerous other big changes coming along that have yet to be considered here. It’s time to look at the future with a clear pair of eyes and get working away.